The exhaust is an essential component on your vehicle. It undergoes very strong thermal and mechanical stresses during its life. High temperatures and acidic exhaust fumes attack the internal wall of the exhaust system. External corrosion and rust can be caused by rain and dirt on the underside of your vehicle. It’s also common for older exhausts to come loose from their supports. This can happen over time simply due to vibrations caused by driving. Therefore, it’s important to have your exhaust checked regularly by a trained technician. Any damage to your exhaust could cause your emissions to increase, which would result in an MOT failure. Use our simple Online Booking form to book your Exhaust Replacement at your local Euro Repar Car Service centre. Your exhaust has a limited life and will naturally degrade over time. When washing your vehicle with a pressure washer, avoid spraying water directly into the exhaust. If you smell exhaust fumes inside the cockpit, one of the components of your exhaust system could have come loose causing a leak. Exhaust fumes are toxic, so it’s important that you get this checked urgently by a trained professional. 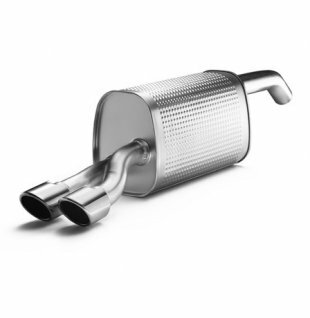 If your exhaust system is in poor condition, in particular the catalytic converter and particulate filter, your fuel consumption and emissions can increase dramatically.